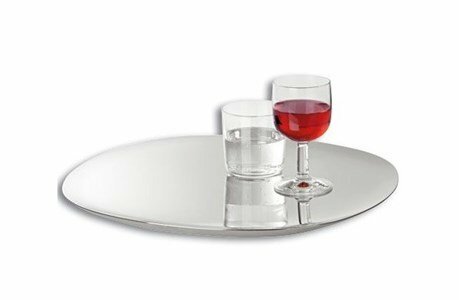 An elegant, simple tray, the perfect complement to serve your guests! 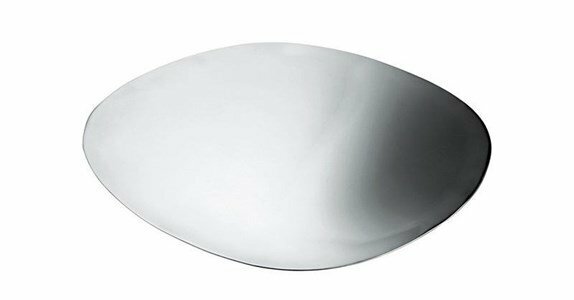 With double walls, the tray is made of two polished stainless steel leaves. The bond of theses two leaves is made with the TIG method, granting the perfect quality, even in thin materials or sharpe angles. The volume effect contrasts with the surprising luminosity.